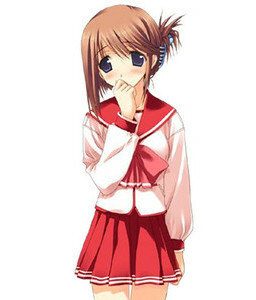 Manaka is one of the protagonist's classmates and the class representative. She likes to help others out to the point that few realize she is being overburdened by her work. Despite being a good class rep, she has a fairly docile personality otherwise. Manaka assists the library club in marking archived books for barcoding, which causes a few problems since she is not a member. Has a talent for blending tea, which she does as a hobby. She is shy around boys, something Takaaki can empathize with. Despite being busy helping everyone at school, she still makes time to visit her younger sister, Ikuno (who is suffering from the complications of diabetes), who is in the hospital. She develops a crush on Takaaki, and becomes very comfortable with interacting with him as time passes.